How can I cite properly in my assignments? Quotes, paraphrases and summaries when they are accompanied by in-text citations and, reference lists or bibliographies, give credit to our work. For every quote, paraphrase, image or other material not original we must provide an in-text citation and a complete reference in the reference list at the end of your assignment. In-text citations must contain the author's last name and the publication year enclosed in parenthesis. These differences are significant because they allow you to 'frame' the source material and, in doing so, influence the way the reader perceives it. - maintain a consistent style. Sometimes, however, it is appropriate to quote word-for-word. For some subject disciplines, such as law or literature, you are much more likely to use word-for-word quotes than in others. Direct quotations must be enclosed by quotation marks if they are shorter than 40 words or, when longer, be placed in a free-standing "block quotation" on a new line, indented five spaces . E-mails are not included in the list of references, though you parenthetically cite them in your main text: (I. Blanco, personal communication, January 23, 2016). Number all tables with arabic numerals sequentially. Provide a general note to the table to explain, qualify or provide information about the table as a whole. Put explanations of abbreviations, symbols, etc. here. 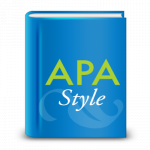 If using tables from a source, copy the structure of the original exactly, and cite the source in accordance with APA style. A reference list alphabetically ordered must be provided at the end of your assessment task. 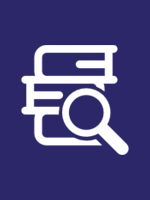 Reference lists allow others to access your sources, therefore full details of all the published sources used must be given. Stevenson, R. L. (1975). Treasure Island. New York, NY: Atheneum. Duby, G. (1993). L'invention de l`histoire au mon médiéval. Cahiers d'Etudes Medièvales, 126, 910-924. If you only cite an abstract, add "[Abstract]" after the article or source name. Zhang, Y., Tan, Y. W., Stormer, H. L., & Kim, P. (2005). Experimental observation of the quantum Hall effect and Berry's phase in graphene. [Abstract] Nature, 438(7065), 201-204. Sometimes one or more of the necessary pieces for building a reference is missing, and writing the reference can get more difficult. - Zotero and Refworks: Are bibliography managers, they allow you to download and store locally your information sources metadata directly from websites, catalogs... and export them in the required format. - Microsoft Word and many word processors provide tools to built a reference list.